Mia and I had a weekend of contrasts as far as physical activity and crowds. Before I get into anything though….I need to list this link Portland Hikers Field Guide. It has been invaluable so far. This is were Juston and I got some info on the Eagle Creek Hike. I’ve also discovered a bunch of hikes that are on my “to-do wish list” just by browsing the site. Mia suggested that we try out Bayocean Spit for something a bit different. It took us some finagling to find the start of the hike. The book we had with us sucked for directions. Once we found the gravel road across the dike, it all made sense. We started out on the right hand side of the spit and did the gravel road first and beach 2nd. I highly recommend this counterclockwise loop. Doing it this way lets you end on the beach as opposed to starting on the beach and then being bored with a dirt road walk back. There is also some dispersed camping along the dirt road side of the loop. I am not 100% positive about spending the night on the actual beach. It looks like high tide comes up too far towards the dunes. We didn’t really see many people besides a few campers and people crabbing and fishing on the way out. Then on the 4 mile trek along the beach it wasn’t until the last half mile we saw any sign of life. Pretty much a perfect hike! Mia and I signed up the for Bridge Pedal, meaning to do the 10 bridge ride. However we got there 10 minutes too late and had to do the 8 bridge ride. 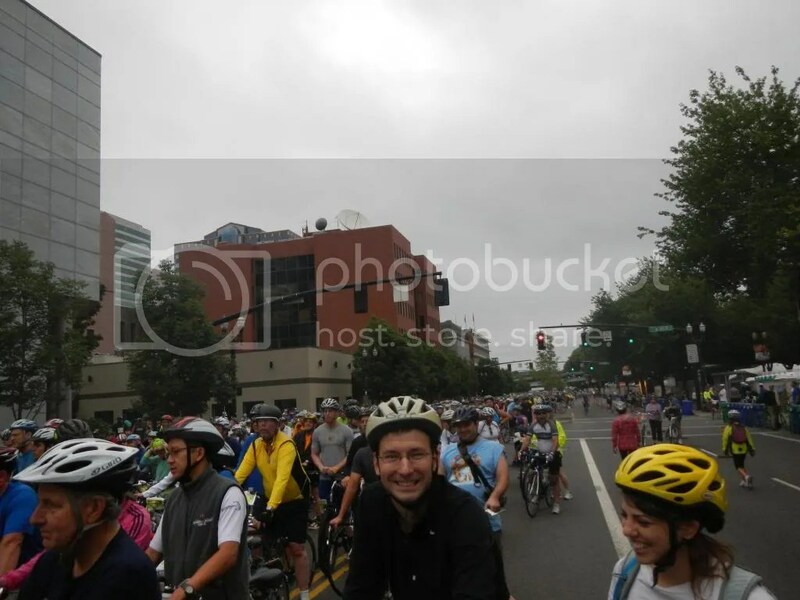 I don’t think the website stated very clearly how quickly those first 2 bridges would be opening back up to normal traffic……anyways…..
After the solitude of Saturday, we rode with about 18,000 of our closest friends on Sunday! 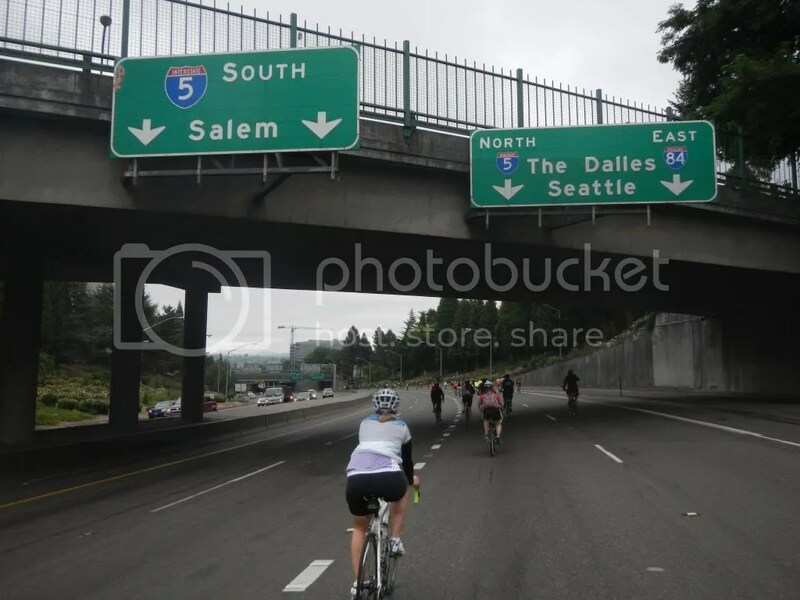 The cool part was we got to ride on the highway at one point (ticked off a cycling dream with that one) and then did a “tour” of Portland’s many bridges. While I’m not really the charity ride type of person, this was fun. You just had to keep your eyes peeled for those fellow cyclists who have no “pack etiquette”. 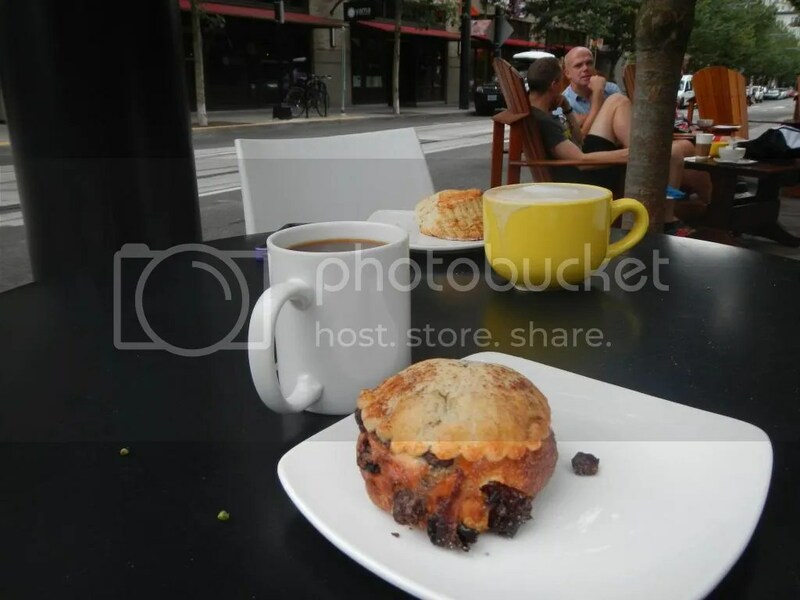 This was a great way to kind of learn the city too. We’re getting pretty familiar with the west side of the river, but still have not spent much time on the east side or up in north PDX. Following the ride we of course hit up Lovejoy Bakers. If you haven’t been, drop everything and go NOW! Really good food and nice staff. 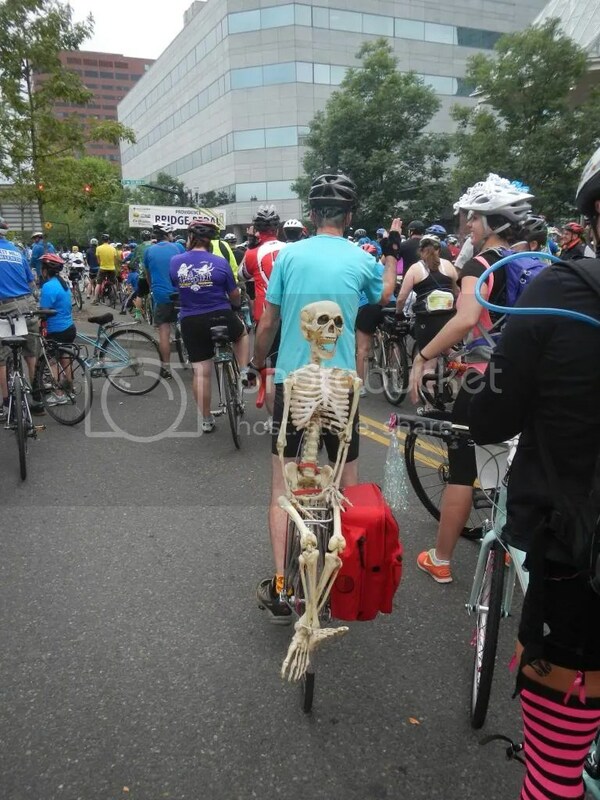 It looks like quite an eventful week end….18,000 is a lot of bicyclist. Wish our beaches were deserted as I saw in your photos…Thanks for sharing & continue to let us hear from you both.